Last week I was lucky enough to take a camping trip to the famous Kruger National Park and of course the SafariSpy camera trap came along too. 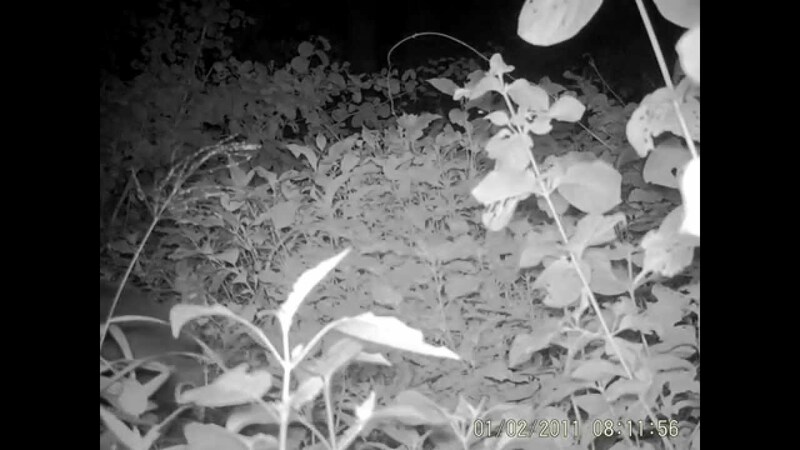 I was keeping my camera trapping expectations low because all the campsites have fences, which allow for a (more or less) carefree midnight toilet trip but prevent access to wildlife paths and hot camera trapping spots. I had resigned myself to only capturing vervet monkeys who visit the camps to, from what I can tell, entertain themselves by easily stealing food from the most experienced and smug looking campers they can find. Given their addiction to curiosity I was actually worried the camera trap would just be too much of a temptation and I would wake up to find it several metres away on the other side of the fence! Honey badgers have also shared our campsite before but again, despite their size, they are known to be one of the most fearless animals in South Africa. These guys eat poisonous scorpions and snakes (literally) for breakfast, so what chance would a camera trap have?! Darkness fell and our first visitor arrived before we had even gone to bed! The creature and I made eye contact and there was mutual confusion – neither the animal nor I knew what the other was! A rapid check in the mammal book confirmed this dog like creature was an African civet and similar to a cat. 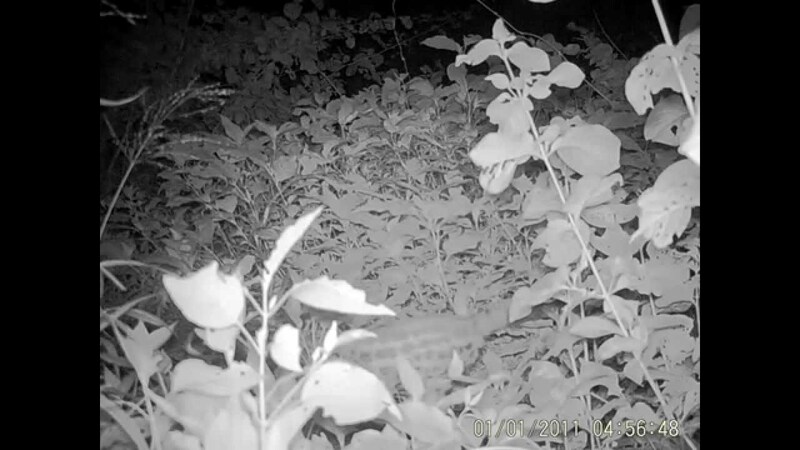 Firstly a genet, a close relative of the civet, carefully slinked through the undergrowth. It’s black tail tip shows that it is a large spotted genet rather than a small spotted genet (white tip). The second night in this location the hyena returned and again avoided us capturing its face. Perhaps it was up to no good and didn’t want to be identified; luckily for us its backside complete with twitching tail is quite recognisable! Then a surprise honey badger trotted through, it was gone in a flash but its tail gave its identity away. 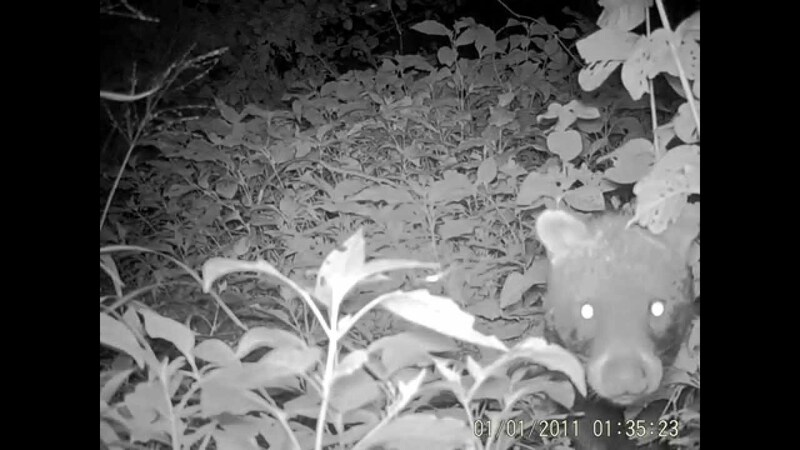 The camera trap then moved location with us and was on another fence opposite our tent, this time set to photo mode. We captured another civet and here you can get a better sense of its size and length. 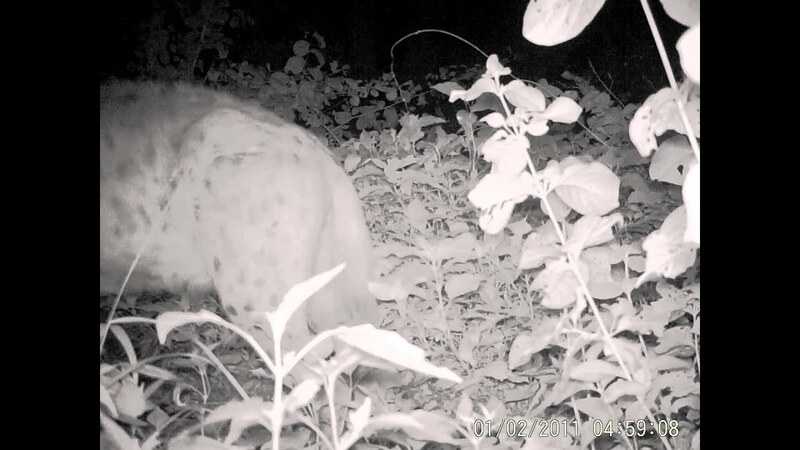 Another spotted hyena visited and this time we got its face – perhaps we should photoshop the results together and we would have a compete hyena! Spotted hyena making another appearance. Sadly we then had to return home but I was ready to carry out a ‘sit in’ and be able to put out the trap for one more night to capture my hyena in full glory. I am now officially hooked on camera trapping and am desperate to get out into the bush again, the only worry is that the next trip will not be as fruitful. We have been to Kruger many times over our four years in South Africa and this was by far our best trip. We even saw our first pack of wild dog, which are critically endangered and have always been top of our wish list. 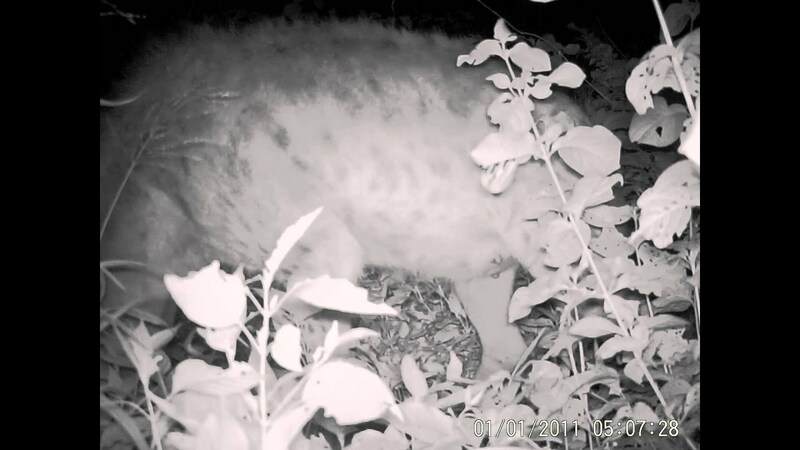 Stay tuned for more SafariSpy adventures; the camera trap is already out again so fingers crossed for some good captures…!